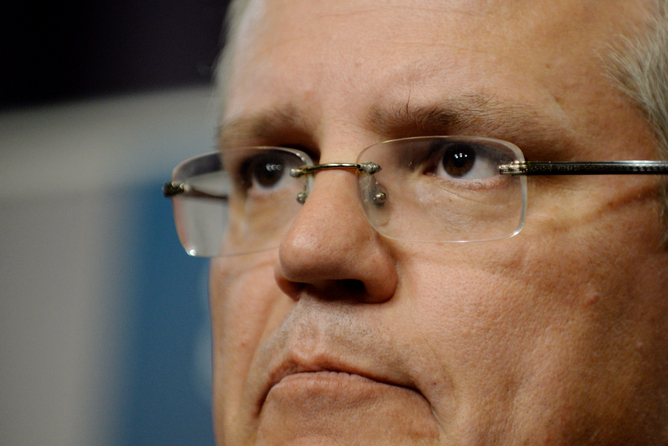 Australia has been engaging in “tow-backs” of asylum-seeker boats. This has involved intercepting boats carrying asylum seekers at sea, before they reach Australia, and forcing them to return to Indonesia. It has also emerged that Australia entered Indonesian territorial waters during at least some of these “tow-backs”. Indonesia has responded strongly, stating that Australia’s entry into Indonesian waters is “a serious matter in bilateral relations”. Indonesia also announced it would set up its own maritime patrols. “Tow-backs” that deny asylum seekers access to Australian waters and territory are an attempt to avoid Australia’s legal obligations to asylum seekers. However, such practices are misguided. Australia owes asylum seekers it returns to Indonesia a number of rights. This is the case even if they do not land in Australian territory or reach Australian waters. Australia has voluntarily signed and ratified the United Nations Refugee Convention, which gives certain rights to refugees “towed-back” by Australia. The convention defines a refugee as an individual who is outside his or her country and is fleeing persecution. This may be as a result of his or her race, religion, nationality, membership of a particular social group or political opinion. Asylum seekers who do not have a well-founded fear of persecution are not granted any rights under the convention. However, until asylum seekers have undergone a fair and effective process to accurately identify whether or not they are refugees, they should all be granted rights under the convention. This is to ensure that those asylum seekers who are indeed refugees are not wrongly denied rights. As discussed in a previous article, refugees have differing rights under the convention depending on their connection to Australia. Certain rights are triggered only when refugees are in Australia or even when they are lawfully in Australia (for example, when they are given a visa). Other rights, however, come into play at the point when Australia starts to exercise power over refugees. During “tow-backs” at sea, this point could be reached when Australia transfers refugees onto its own vessels or takes control of boats that the refugees are travelling on. At the point Australia takes control of the refugees, it exercises “jurisdiction” over them and becomes responsible for them. Rights owed by Australia to refugees it tows back (on the high seas or even in Indonesian waters) include the right of access to the courts of Australia and the right of refugees to elementary education. The most important right, however, is the right to be protected from being returned to persecution. Australia is prohibited from sending refugees back to a place where their lives or freedom would be threatened. Australia is also prohibited from sending refugees back to a place that may not protect them. That is, Australia cannot take refugees back to Indonesia because Indonesia is not a party to the Refugee Convention. There is therefore nothing stopping Indonesia from returning the refugees to their home countries where they face persecution. As such, Australia cannot simply wash its hands of the individuals it tows back. International maritime law prohibits Australia from interfering with boats that fly the flag of another country on the high seas for the purpose of preventing their entry into Australia. Prohibited interference on the high seas includes transferring passengers onto Australian vessels or “towing back” the vessel. It should be noted that Australia may be allowed to interfere with such boats in its own waters or (under certain limited circumstances) in its Contiguous Zone, which extends up to 24 nautical miles (about 27.6 miles or 44.4 kilometres) from Australian land. It is not clear from the news reports thus far if the boats returned to Indonesian waters had been registered in Indonesia and were flying the Indonesian flag. If they were, they are owed protection by Indonesia. Any transgression against them would be akin to a transgression against Indonesia. Indonesia would have a right to object to Australia’s interference with its boats on the high seas if they were indeed flying the Indonesian flag. This is regardless of the fact that they were heading to Australia. The other issue that is raised by recent tow-backs is the entry of Australian naval vessels into Indonesian waters. A country’s territorial sea extends to 12 nautical miles (about 13.8 miles or 22.2 kilometres) from the baselines (usually the mean low-water mark) of a coastal state. The territorial sea belongs entirely to the country in question. So long as they are not in violation of any international law, states can do what they like in their territorial sea. States usually permit innocent passage of sea vessels through their waters. Nonetheless, they can choose to deny other states access to their territorial sea in the same way that they may deny access to their actual land. It is therefore completely within the rights of Indonesia to deny Australia access to its waters. Entering Indonesia’s territorial sea without Indonesia’s consent is a serious violation and akin to invading its land. It is thus not surprising that the incursions have drawn significant objections from Indonesia despite swift apologies from Australia. Azadeh Dastyari does not work for, consult to, own shares in or receive funding from any company or organisation that would benefit from this article, and has no relevant affiliations. Sent from my Nokia mobile device.